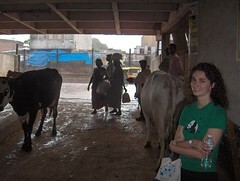 As some of you (if not most of you) (if not all of you) know, I have recently been joined in India by my wife, Hilleary. I’ve asked her to start blogging with me, adding another ignorant American’s perspective to the picture. My suggestion for her first post: “Why the Beard Had to Go”.